Written for everyone by using visual descriptions, illustrations, and analogies to everyday life, SlipString Drive tackles our entire universe from before its creation until after its end. With a modification of M-theory gravity, it explains dark matter, dark energy, and the reasons behind the laws of physics. 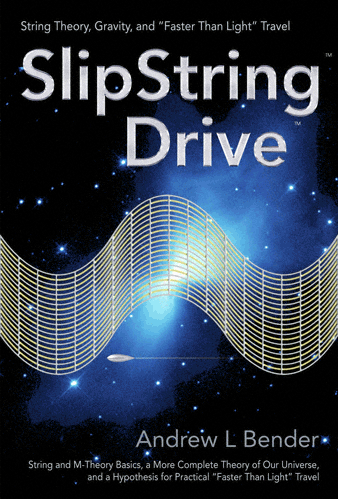 SlipString Drive begins by taking you through the basics of string and M-theories so that you can embark on an effectively “faster than light” voyage without violating the laws of physics. By using gravity waves to partially and completely isolate volumes of spacetime from the rest of our universe, author Andrew L. Bender proposes a method of travelsimilar to going through a wormholethat could be possible within fifty years. This method specifically avoids all the problems of paradox and time travel associated with nearly all other attempts at such travel. Time passes normally within the isolated region, like a wormhole, preventing any possibility of paradox. He also describes how gravity waves could be manipulated in order to travel in such a manner with strict adherence to the laws of physics. In SlipString Drive, Bender describes how ships using this method of propulsion would appear to those outside of the ship’s partially “gravitationally isolated” region of space while maneuvering at slow speeds. Bender also discusses novel uses for such a vessel, such as saving humanity from comets to supernovae. Bender then offers a “Membrane Theory of Gravity.” A modification of M-theory, this new theory unifies all forces, predicts dark matter and energy, and explains the reasons behind the laws of physics such as E=MC2. 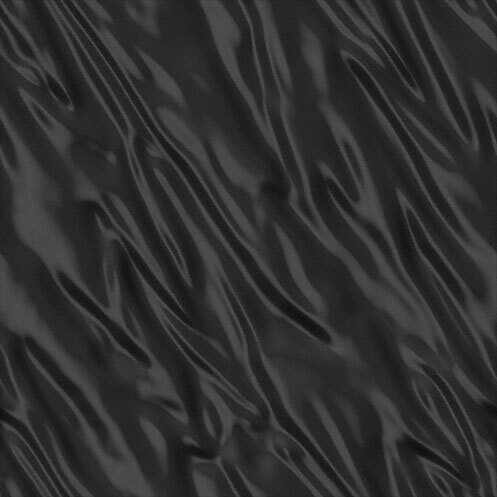 It also theorizes how "dark matter" membrane vibrations (left over from the creation of our universe) will be converted into dark energy (which accelerates our universe's expansion) as those vibrations relax and dissipate over time. This prediction, along with others, could prove modified M-theory correct observationallya feat cosmology has yet to achieve. SlipString Drive not only explains all recent observational evidence of Dark Matter and Energy, but is also supported by every observational study yet conducted. Studies such as the recent detection of "interference" in gravity wave detectors and why quantum entanglement is linked to gravity. It also predicts that space will appear smooth the further back in time you look, which quantum gravity has failed to do. Additionally, the laws of physics never break down in this model as they do in the Big Bang model. Finally, Bender hypothesizes how our universe will end, and answers the question: Must life in our universe be extinguished when our universe ends? "Ever since I was six years old, I have been fascinated by how our universe works. I was glued to the TV series Cosmos with astronomer Dr. Carl Sagan. When I was about nine years old, for a class project I wrote “Andrew’s Galactic Believe-It-or-Not” with the latest astronomical oddities and interesting objects that had been discovered by the late 1970s to early 1980s. I was especially intrigued by pulsars, quasars, black holes, and the vastness of our universe. I was always asking myself big questions about how our universe was really put together..."
The preface sets the stage for Bender's childhood interest in astronomy and cosmology, and why he endeavored to attain his degree in astronomy. It describes his early history of developing hypotheses about how our universe works, the vast majority of which were validated and incorporated into current scientific thinking. It also describes how, over the years, he developed an evolving “mental model” of our universe which, with the addition of his Membrane Theory of Gravity, appears to have explained nearly all of the deep mysteries of how our universe works. His model now precicts dark matter, dark energy, how dark matter and dark energy are related, why quantum entanglement is linked to gravity, why all subatomic strings spin up and down, why relativity works as it does, and how our universe began (keeping physics intact) and how our universe will end among other insights. M-Theory, Where “M” Is for “Membrane” (also Mega, Magic, Matrix, or Mother-of-All …) "Well, you decide..."
"I grew up in an Einsteinian universe. I could see spacetime being curved by gravity but was always wondering about the underlying nature of the universe. What exactly were matter and radiation, and how did they travel through a vacuum? I needed a more satisfactory explanation for what gravity was exactly and why light supposedly has a dual nature, sometimes acting as a particle and other times as a wave. Theorists struggled to explain this puzzling duality..."
Chapters 1 & 2: Written in a highly accessible form, Slipstring Drive conveys difficult topics using easy to grasp visual descriptions, illustrations, and analogies that relate to everyday life. It briefly covers the development of string theory and why the current “standard” physics of quantum mechanics and relativity are lacking in significant ways as they can not be successfully combined into a single theory. It then describes how string theory overcomes these obstacles. Chapter 2 introduces M-theory, and how this development has brought us a long way toward a physics "Theory of Everything" and has paved the way for the evolution of M-theory with a Membrane Theory of Gravity, described in chapter 8. "Now that we have covered the basics of string theory, we can start to explore how to beat the system (or at least bend it a bit). Most theories of “faster-than-light” travel (that are based on sound scientific principles) involve wormholes, folding space, or other incredibly energy-intensive solutions. These theories often purport using a large percentage of the energy in the entire universe to create the wormhole or spatial fold..."
Chapter 3 begins by describing the difficulties with travel close to the speed of light, and possible mechanisms for these effects. It further illustrates why conventional methods will never be able to accelerate a ship close to the speed of light without serious drawbacks. This chapter also discusses fictional attempts at faster than light travel such as warp drive and why, unfortunately, they are highly unlikely to work. It also discusses recent theoretical scientific attempts at "faster than light" travel such as by using wormholes, spatial folds, and attempts such as those by Miguel Alcubierre whose negative quantum energy drive has been nicknamed "Warp Drive" by admiring fans. Additionally discussed are why all of the other methods have little chance of success on any practical sort of level in the near future to let us travel "faster than light." It then enters the realm of practical “faster than light” travel by explaining how gravity waves work, and how they could be used to radically curve and “isolate” regions of spacetime from the rest of our universe. This could allow these isolated regions to move from one point in spacetime to another without actually passing through space! These regions can avoid all the problems described earlier, and their motion acts similarly to traveling through a wormhole. Illustrations assist you to understand how these regions are created and how they can effectively travel at incredible "faster than light" speeds without any ill-effects on the region's passengers. As with relativity, it is all about the point-of-view of the observer and the traveler, preserving physics as no matter actually passes through spacetime faster than light. This results in no alteration of the passage of time (or any paradoxes) even when travelling effectively "faster than light"! "The existence of alien species has often been portrayed in the movies and on TV shows since the 1950s. Unfortunately for reality's sake, this life is often hostile and attempting to conquer our universe (or at least Earth). Luckily for us, I highly doubt any of it is true, or even close to reality." Chapter 4 describes how a SlipString Drive (SSD) ship would appear to outside observers when traveling at "slower than light" speeds when only "gravitationally isolated" from surrounding space. Ships traveling in this manner could appear to defy the laws of physice, specifically the laws of inertia. However, a SlipString Drive ship continues to obey the laws of physics. The ship can maneuver in ways that appear impossible until we understand the physics behind that motion. "With a ship of this sort, intergalactic travel would no longer take so much time as to be impractical as it is today. Possibly we could travel from one solar system to the next in a matter of minutes. This way, we would be able to really explore our galaxy and our universe in person. We would no longer be limited to robotic probes and the Hubble Space Telescope, as wonderful and beautiful as the Hubble’s images and findings are..."
Chapter 5 describes what we could now accomplish with a SlipString Drive ship. Besides intergalactic travel, we could also protect the earth from comet collisions, and many other types threats to our planet. Eventually one of dozens of catastrophes could befall the earth, and this chapter discusses why and how humanity could avoid destruction from threats such as these. It also answers the questions: are there other beneficial, and even medical, uses of gravity waves? "In recent years, the search for extraterrestrial intelligence has really taken off, thanks in large part to the launch of SETI@home by The Planetary Society at the University of California at Berkeley. I have been a member of this wonderful organization for more than a decade. The search for signals from “E.T.” now has a massive amount of computing power behind it, thanks to millions of average computer users and a much better chance to succeed due to this increased power..."
The book moves on to the search for extraterrestrial intelligence (SETI) and how to fix the current program in order to detect the signals that are most likely being sent, which differ from those we are currently searching for. We may be able to "overhear" local communications of other civilizations if we know what we are looking for. This chapter also describes the novel ways in which intelligent space-faring species most likely operate and communicate, as opposed to our standard concepts of how they do, and how we might even be able to join other advanced space-faring species in exploring our universe. "From my perspective, over the last century cosmologists have taken their theories of the universe too far (to the infinite degree) to be plausible today with the latest developments in theoretical physics and in string theory. For example, take theories of black holes. It was believed by most physicists that after the supernova of a very large star, a huge amount of matter was compressed into such a tiny volume that the star’s remnants collapsed into a “singularity” at the heart of a black hole..."
Chapter 7 describes current theories about our universe, and then proposes a hypothesis for a membrane theory of gravity which "fixes" M-theory by realizing that it is not loops of "leaking" graviton strings, but the effect of vibrating strings of matter on our membrane itself that generates the "force" of gravity. In the years since I wrote that introduction in 2003, many physicists have come to agree that there may be no "singularity" at the heart of a black hole. This chapter also answers the question: What is at the heart of a black hole if not a singularity? Recent observations that had confounded cosmologists, fit perfectly into the membrane theory of gravity. Dark matter and dark energy are no longer mysteries but are predicted. The existence of dark matter has been confirmed which supports this theory and invalidates the claims of the author of The Final Theory who claims that dark matter (and much of science) is a mistake. This chapter also explains how our universe was created, what came before our universe, and how our universe will end. Several methods of observational confirmation of this theory (and therefore string theory as well) are proposed which may be completed in the next few years. The Membrane Theory of Gravity also explains why quantum entanglement is linked to gravity as reported in Science magazine, why E=MC2, why all fundamental strings spin "up" and "down," and why electrons pair up into up and down partners when flowing through superconducting materials (among many other insights). This theory does away with the breakdown of physics experienced at 10 -43 seconds into the big bang, as the "big splash" (the collision of membranes) that created our universe can now occur with the laws of physics completely intact. Life, the Universe and Everything, or: How the Universe Will End … But Must We End With It? "When our universe reaches several hundred billion years old (or somewhere around there), the last generations of stars will have used up all their fuel and will begin to die out. As they do, the universe will become dimmer and dimmer, until finally..."
Chapter 8 describes how our universe will end according to current observations and the membrane theory of gravity. It also discusses whether humanity could survive until this point. Then, using all of the advances described in the book, it answers the questions: Must life in the universe be extinguished when our universe ends? And, is this the final end of our universe? This self-contained article about Membrane gravity is to be used by string theorists in order to develop the mathematical models, M-theory, and D-Brane mathematics and physics necessary to describe membrane gravity and to quote in their papers on the subject. SlipString Drive is a must-read book for anyone interested in space, space travel, cosmology, what came before our universe, science and even science fiction. It is written for the widest possible audience from teenager to centenarian who wants to expand their horizons, and actually understand our entire universe from before its beginning until after its end. It is written with descriptions, analogies and illustrations that are easy to comprehend. Not only can you grasp how our universe works, but you can also learn how we could travel from one solar system to another in a matter of minutes within the laws of physics, and learn about the technology behind such amazing "faster than light" travel. Readers will also discover novel uses for this technology from exploration to medicine, and could foresee humanity's destiny.